Today demanded calm and focus under the heat of the sun, as teams waited for the wind to kick in. A crucial race day, with many teams on the cusp of qualifying to the leaderboard top 10, who would advance to tomorrow’s podium deciding medal race shoot out. 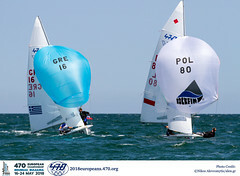 A 4th place for Di Salle and Dubbini in the one race for the 470 Women guaranteed them the gold medals and World Championship title with a race to spare. 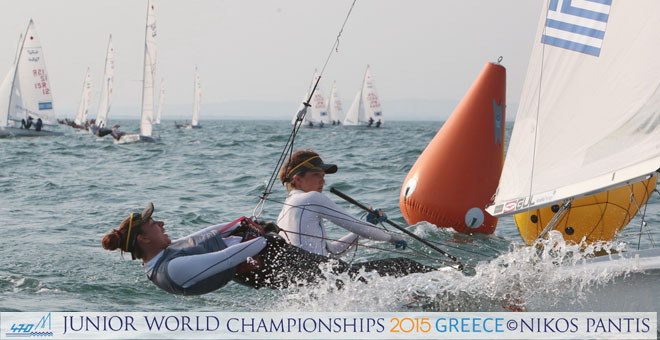 Holding a 27 point advantage makes the Italians unbeatable over the 2nd placed Greek pairing of Bozi and Klonaridou. 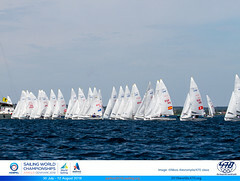 The Italians just need to sail a clean medal race and their titles will be validated. All still to play for, with silver and bronze medals up for grabs with 3 teams in the running. 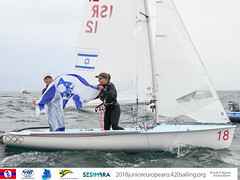 A big disappointment for Israel’s Tsuf Zamet and Stav Brokman who lost out on medal race qualification by a tie break on points with Greece’s Tavoulari and Koutsoumpou. 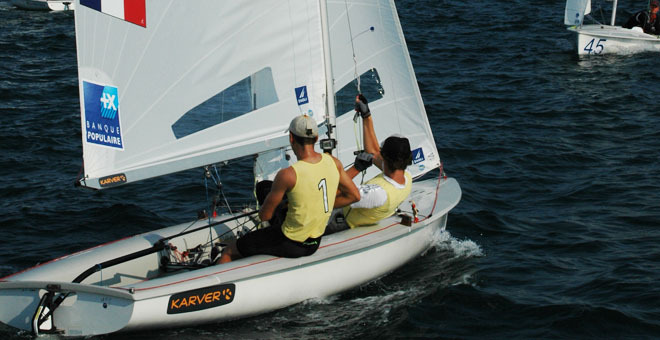 Spain’s Noguera and Terrones executed their game plan, successfully climbing from 11thto 9th place to secure their ticket to the medal race. France’s Pirouelle and Sipan again dominated the race track to secure another win, their fifth of the 10 race series so far. The French team hold a 15 point advantage over 2nd placed Winkel and Cipra from Germany, so would need to make a major mistake to lose gold. Japan’s Isozaki and Nakagawa were the last team to qualify to the top 10, on tiebreak with the Spanish. Teams from 7 nations are in the hut for medal race glory. Stay tuned for tomorrow’s medal race, as teams work out a strategy to capitalise on their leaderboard positions and the double points medal race, to secure podium glory. 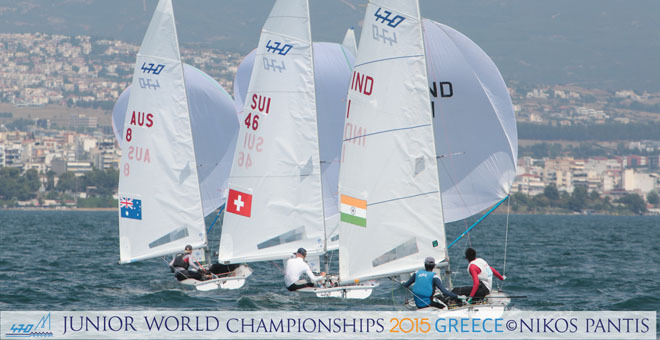 The 2015 470 Junior World Championships is hosted by the Nautical Club of Thessaloniki, located in the municipality of Kalamaria, on Greece’s north-eastern coastline. Renowned as one of the prettiest areas of Thessaloniki, Kalamaria has a long and rich history. A popular sports hub, it has numerous athletic venues and regularly hosts international sports events.